The Premium OVO Collection contains 100 patches inspired by PartyNextDoor, ILoveMakonnen, Drake, Mike Zombie, Roy Woods, and more. 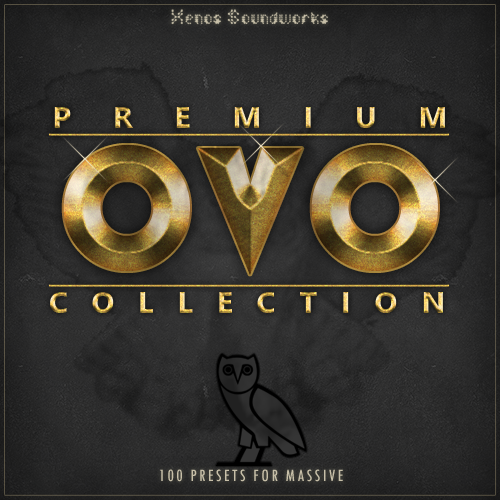 This collection includes everything you need to start making serious OVO type beats - Cone shattering subs, ethereal and exotic pads, emotive plucked synths, beautiful bells/mallets, singing leads, unique sound FX and more. Tired of getting fooled by flashy marketers into buying products of subpar quality? These patches are the REAL DEAL, truly playable and with attention paid to detail. Important Note: The set contains a mix of handpicked and tweaked selections from various Xenos Soundworks products, plus 27 brand new patches.